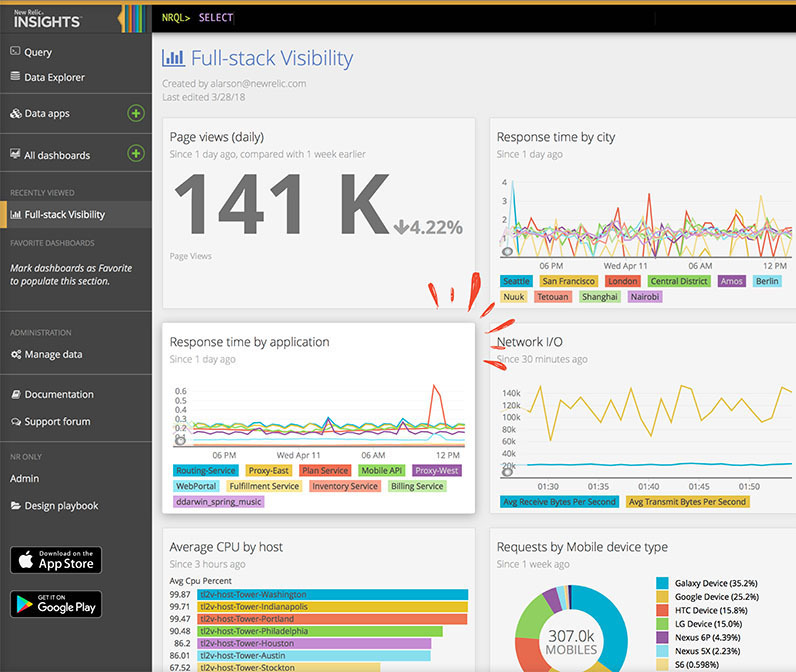 You can use the New Relic platform to monitor the performance, dependencies, and bottlenecks of your entire stack in real-time. In this course, you'll learn how to identify your most critical health indicators and performance metrics for your applications and hosts, get notified when problems arise, and isolate root causes faster so you can discern exactly what instigated the problem and work to prevent it from happening again. Identify critical transactions to monitor and establish meaningful thresholds for performance. Use key transactions to help monitor critical parts of your app more closely. Use the New Relic REST API to create dashboard templates, instantly create dashboards, and save JSON files as backups. Use Synthetics to monitor your websites, critical business transactions, and API endpoints to uncover problems before they arise. Learn how Application Performance Monitoring (APM) works. Learn how to use Apdex to measure your users' satisfaction with your app's response time. Knowledge check for Understanding Apdex. Learn how to create and interpret key transactions to track your most important business transactions. Use key transactions to monitor, manage, and track your most important business transactions. Knowledge check for Key Transactions. Learn how to monitor the health of your applications and their related hosts with New Relic Health Maps. Get visibility into your microservice architectures. Use the New Relic REST API to instantly create dashboards, and create templates as JSON files for source control and backups. Use Synthetics to ensure important transactions are taking place error-free with customized testing. Help up improve! Share your feedback.